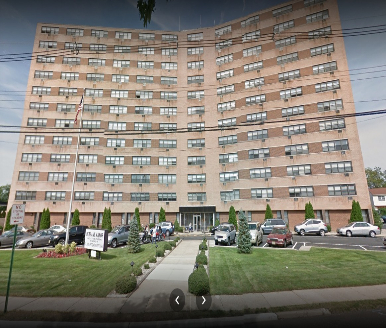 Bethany Manor is a 331-unit nonprofit high rise apartment complex which provides affordable independent living for senior residents in Keyport, New Jersey. 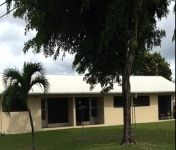 The project was developed in phases in the late 1960’s and 1970’s under HUD’s Section 202 Direct loan program. The 202 loan used to finance the second phase development carried a note rate of 7.625%. The project had maturing flexible subsidy loans with no strategy to pay them off. While Bethany Manor was generally well-maintained, many of the building systems were nearing the end of their useful lives. Due to repairs necessitated by Hurricane Sandy, the project’s capital replacement reserves were underfunded. The Owner looked to Rockhall to finance capital improvements, replenish the project’s replacement reserves, and put the project on strong financial footing for the foreseeable future. Expiring PILOT Agreement. The benefit of the PILOT Agreement to the project was approximately $600,000 annually. However, the PILOT Agreement was set to expire. Loss of the PILOT threatened the viability of the project. The refinance was not feasible without a new PILOT Agreement and the local government had taken the position that a renewal of the PILOT was not feasible. Multiple Assets on Single Tax Parcel held by One Mortgagor Entity. The project’s two phases were situated on the same tax lot and shared common areas and a connecting vestibule. 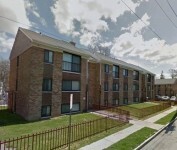 While each development phase was financed with a separate HUD 202 Direct Loan and had a separate Section 8 HAP contract, both development phases were owned by the same ownership entity in violation of HUD’s single asset entity requirements. While it’s unclear how the original 202 loans were approved, HUD wasn’t going to allow a refinance until things were sorted out. Underwriting Issues. The two development phases had separate Section 8 HAP contracts. The HAP contract on Phase I provided rental assistance on only 46 of 231 units while the HAP contract on Phase II provided rental assistance on all 100 units. Over time, Phase I became dependent on Phase II HAP rents to subsidize the unassisted units. Consolidation of the two phases under one project was initially ruled out given certain restrictions in-place with consolidating pre- and post- October 1, 1981 HAP contracts. Other Issues. The project had some long-standing environmental, accessibility and fire safety issues that needed to be addressed. Rockhall managed the phase II environmental review, coordinated the accessibility planning and identified a plan to address the fire safety issues. Rockhall ensured a successful outcome for the Owner by being there every step of the way. After years of meetings, letters, negotiations, rejections, appeals, and legal reviews, the Owner and Rockhall successfully lobbied the Borough of Keyport to renew the PILOT under similar terms for the term of the new mortgage. After the new Section 8 Renewal Guide was published, Rockhall was quick to identify new regulations that would allow for the consolidation of pre- and post- October 1, 1981 HAP contracts, negating the needs for a subdivision. Rockhall was able to secure 223(f) financing that lowered the project’s debt service cost, funded $2.5 million in capital repairs and improvements and funded a $1.1 million deposit to the capital replacement reserve. 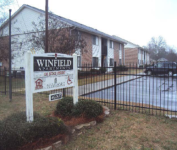 The refinance also provided a substantial developer fee which the Owner allocated towards supportive services and other programs for the benefit of the tenants.